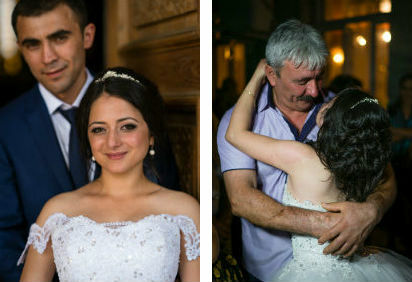 From praying for his daughter’s life after a terrible landmine accident to witnessing her wedding day over 10 years later, Ashot Astamyan has experienced a range of emotion when it comes to his daughter, Tsovinar. Here is their story. Ashot Astamyan’s world stopped when he heard that two of his young children had been involved in a fatal landmine accident. The incident tragically killed his 11-year-old son and left his 9-year-old daughter critically injured. Tsovinar and her brother, Albert, had been playing outside on a nice, spring day in 2004. They were running around in a mulberry orchard near their home in Karabakh when Albert noticed a “shiny piece of metal” and picked it up. Tsovinar immediately realized the object as a pellet bomb and told her brother to put it away. When Albert tossed the bomb, it didn’t explode. So he picked it up again and tried to break it with a nearby rock. Then, an explosion. Albert was killed almost instantly and Tsovinar was badly hurt. Among Tsovinar’s injuries was a ruptured liver, several wounds and a shrapnel embedded in the cornea of her eye. The local hospital was able to care for many of Tsovinar’s injuries, but she would need an eye specialist for the serious injury to her eye. 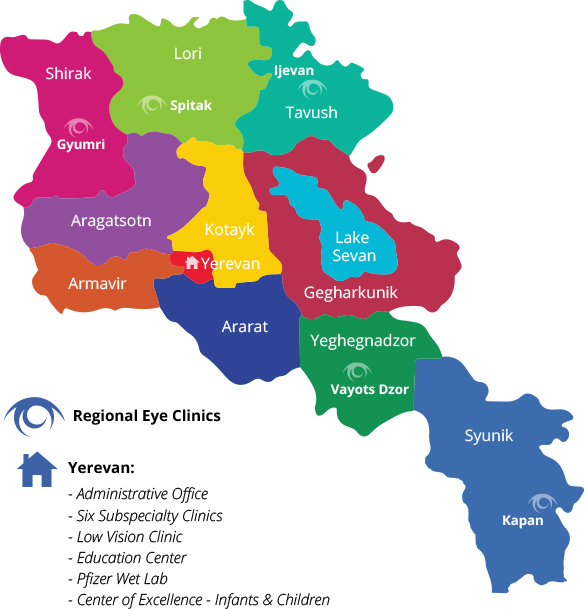 By sheer coincidence, the Armenian EyeCare Project’s Mobile Eye Hospital was stationed in Karabagh at the time. Tsovinar, unable to walk, was cradled in her father’s arms to our mobile clinic, where she was looked at by a team of doctors. She would need immediate surgery, but her eye could be saved. Doctors successfully operated on Tsovinar’s eye, at no cost to the family, and removed the piece of metal. Today, Tsovinar’s eye and other injuries are fully healed and though the family still struggles with the agony of Albert’s death, they consider their daughter’s recovery a miracle. A little over a decade after her surgery, Tsovinar has grown from a little girl to a beautiful young woman with hopes and dreams for the future. Tsovinar is studying to become a teacher and, just last summer, celebrated her wedding with family and friends. It is something every parent prays for: the opportunity for their child to live a life full of color despite what they have endured in the past. Thankfully, Tsovinar’s parents were given the chance to see their dream come true as they watched their daughter marry. To Ashot, it has been the greatest gift of all. This Father’s Day, remember what the holiday is truly about. Give a father in Armenia the opportunity to provide love and care for his child, just as Ashot has been able to do for Tsovinar.